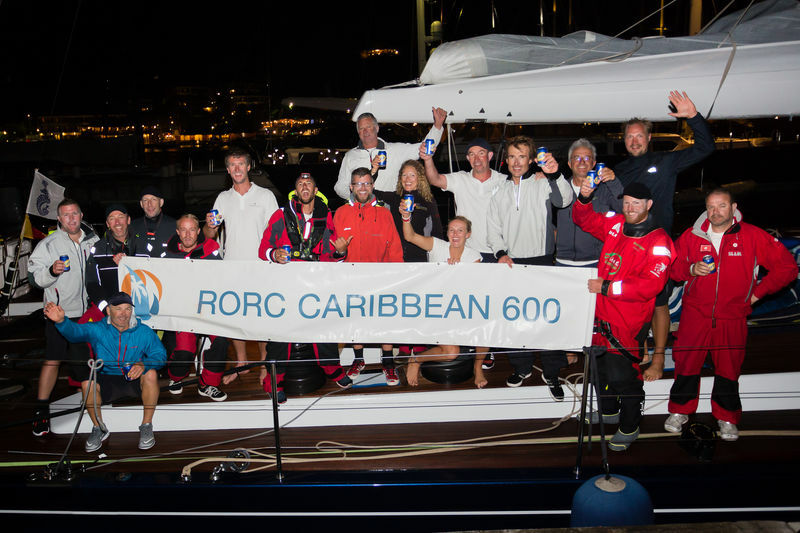 A record 84 yachts started the 2018 RORC Caribbean 600 in Antigua on Monday 19th February, the largest fleet assembled in the ten-year history of the race. The impressive armada set off in unstable conditions, just a first taste of the high seas and strong trade winds that dominated the race and cost nearly half the fleet in retirements. 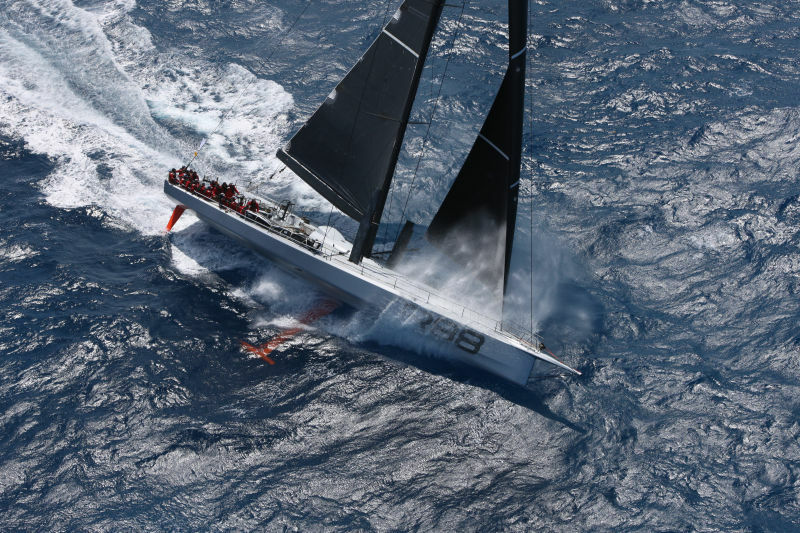 But it was also a race for the record breakers – Rambler 88 set a new monohull record, as well as winning IRC Zero. She scorched around the track in an elapsed time of 37 hours 41 minutes and 45 seconds, beating the record set by George David's Rambler 100 in 2011 by nearly three hours. 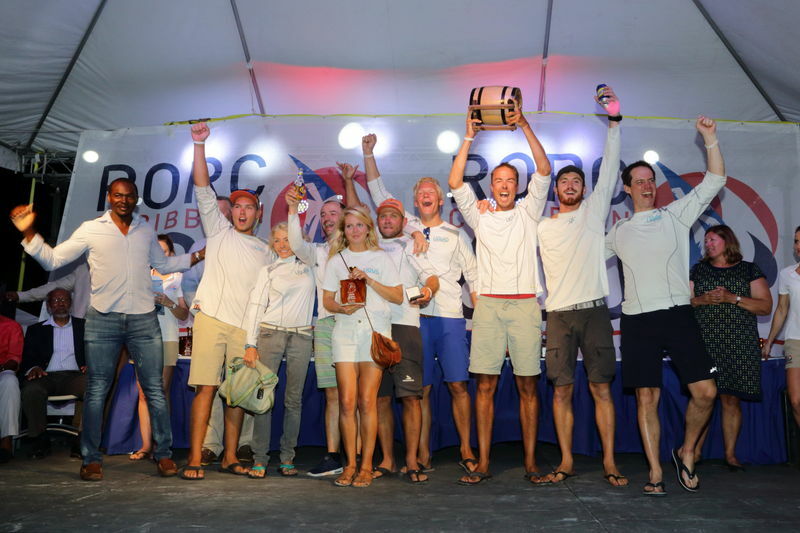 The 600 mile annual race, which rounds 11 Caribbean islands, is in its tenth year and has grown consistently in popularity to become firmly established as one of the world’s great offshore races. It was a tough one for many. Greg Slyngstad's American Bieker 53 multihull Fujin capsized only hours into the race. Luckily all eight crew were swiftly and successfully rescued. Paradox owner, Peter Aschenbrenner, summed up the race. "The conditions we had in those big reaches was intense; the wave state was really big and there was a lot of wind. This is a great place to race [multihulls]; you are going to be wet and it might as well be warm. It is a combination of great wind and great scenery. It is a wonderful course." French skipper Catherine Pourre, racing Eärendil, won the ten-strong Class40 division and setting a new record for that class. 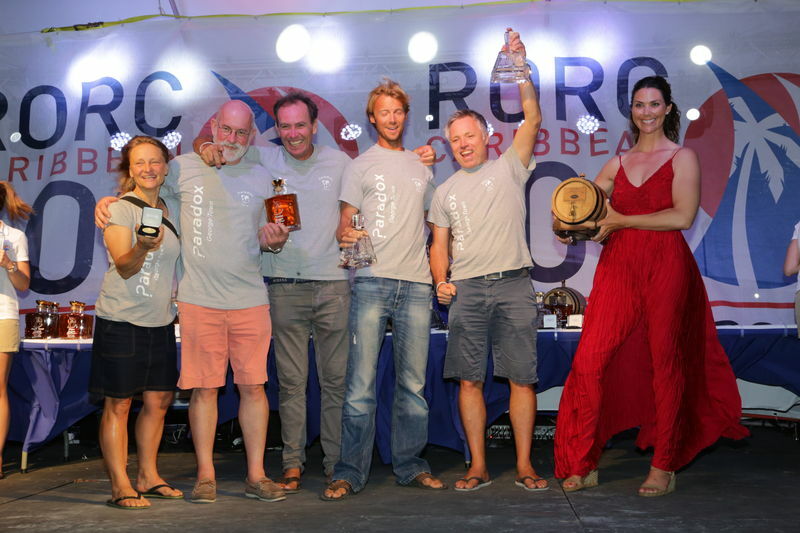 Eärendil, with a French, Spanish and Italian crew won the class by just under three hours. 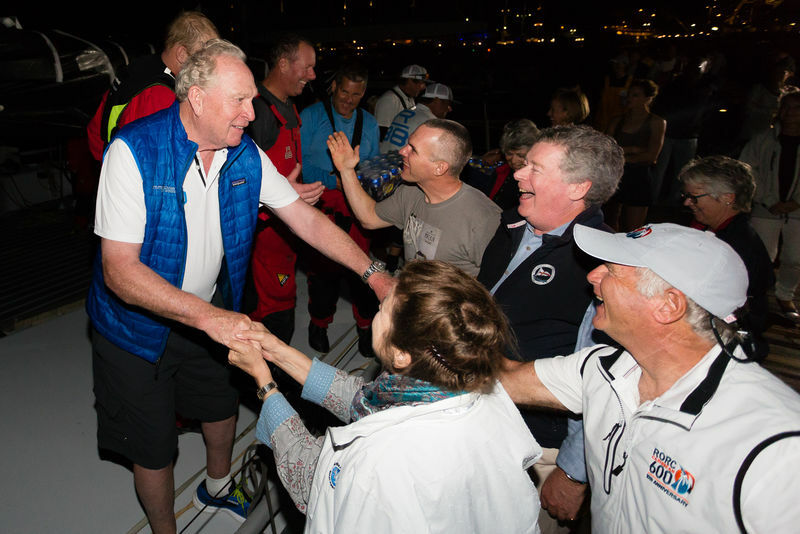 The smallest yacht to take part, Shaun Carroll's trimaran Morticia, received a hero's welcome in Antigua when she finished. 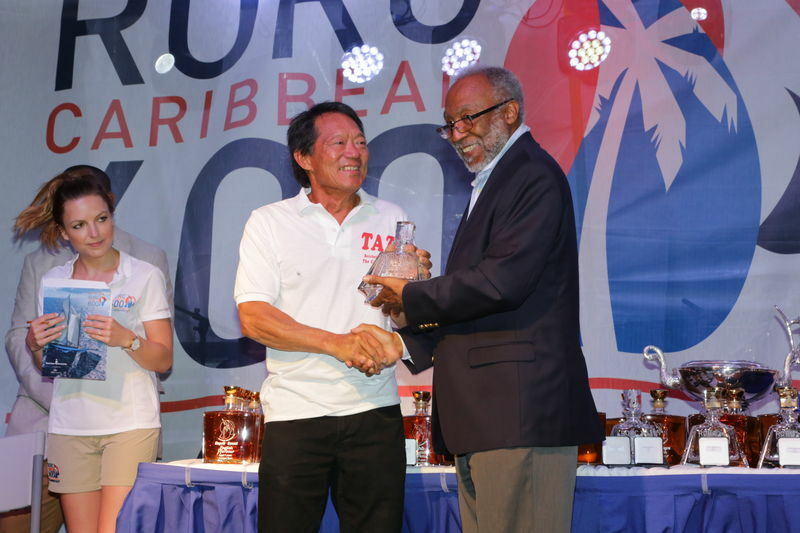 Her team of four Aussies from North Queensland and New South Wales came a long way to Antigua with one intention, to finish the race after dropping out last year due to gear failure. The team reported they had taken everything the weather could throw at them; huge rain squalls, big confused seas and strong trade winds. The event finished as it had started, with the fabulous hospitality of this little tropical island, so popular with yachts from all over the world. 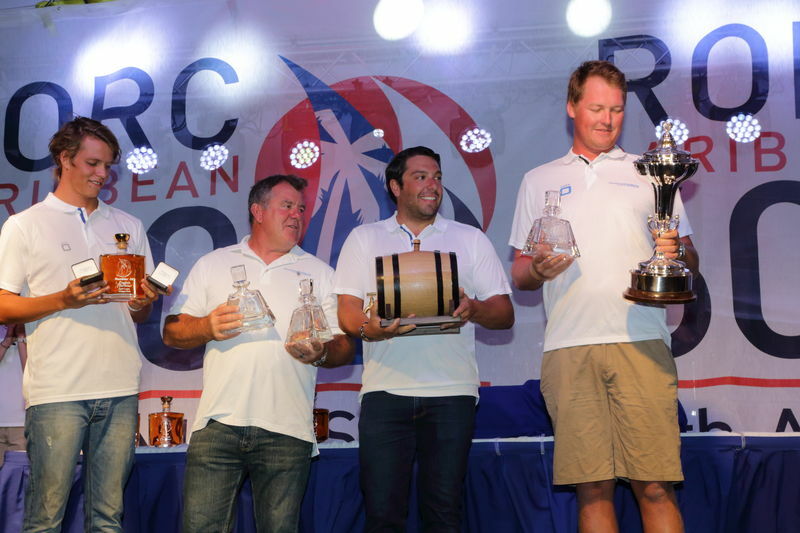 The partying at English Harbour is legendary, and the RORC’s prizegiving ceremony no less so. 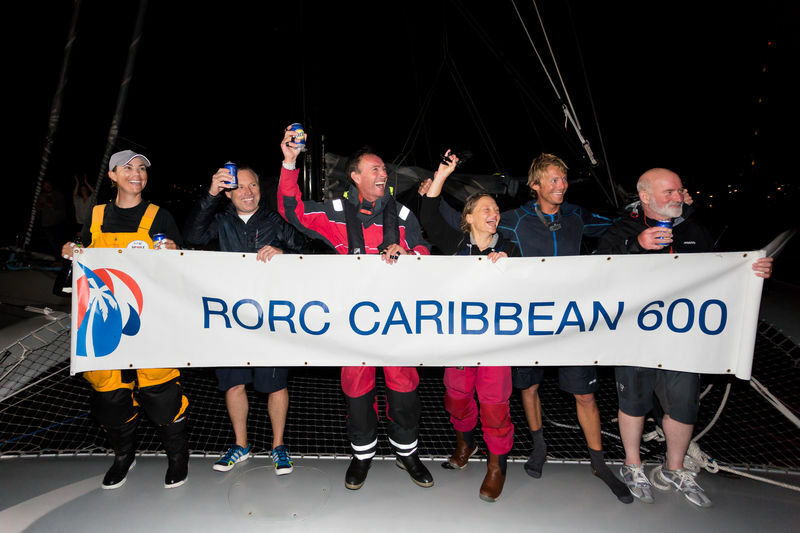 For complete information visit http://caribbean600.rorc.org/News/. Acquafilms have made a truly superb 'Wrap up film' of this year's incredible race.....Are you ready to sign up for next year! ?